Diigo (Digest of Internet Information, Groups and Other Stuff) is a free social bookmarking tool that allows its users to store, manage and share Internet resources. Users can bookmark, highlight, tag, and annotate selected web pages while reading online. As they are stored in the cloud, bookmarks can be retrieved from any computer anytime and anyplace. Resources may be shared with other users. As a social bookmarking tool, Diigo clearly has the potential to make reading and research a social activity in the classroom. In collaboration with our social studies teacher, I’ve used Diigo with our 4th and 5th grade students: 4th graders were researching the pre-colonial French settlement Fort Caroline (Jacksonville, Florida) and 5th graders were gathering information on the Lost Colony of Roanoke (North Carolina). 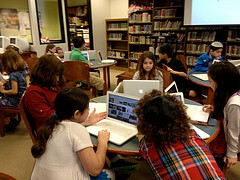 Using the researched information, students are currently in the process of creating eBooks about their topics. 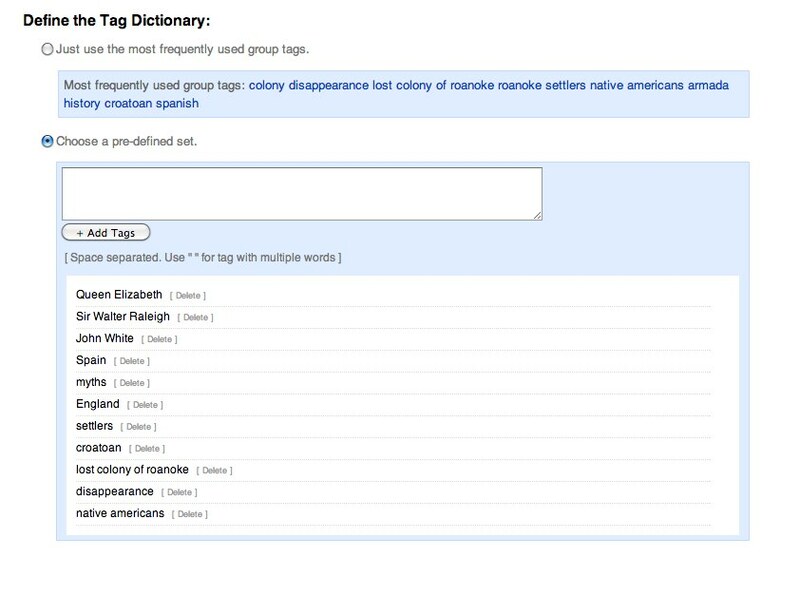 In each classroom, we then created tag dictionaries to categorize websites, ensuring consistency of keyword tags. We brainstormed tags to include in each dictionary, for example “Ft. Caroline” instead of “Fort Caroline”, or “Native Americans” instead of “indians” or “natives”. While the process may seem straightforward, students struggled with the concept of a quality annotation. I’ve blogged about this issue here. 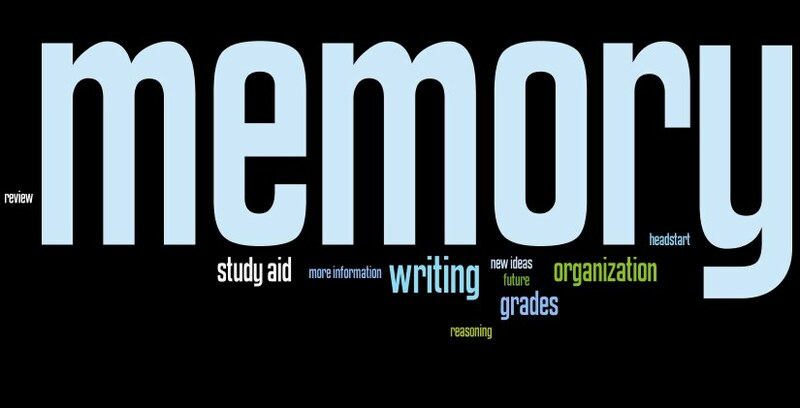 Research is not simply about finding information, but also evaluating and synthesizing the information found. The skills necessary to evaluate and synthesize require students to read text closely and paraphrase the useful information, respectively. These are critical, transferable skills, but working with elementary students I have learned that these are often the most difficult for the students to grasp. Thankfully, we were not under any time constraints, giving us time to model and review when needed. 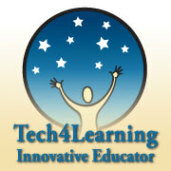 For my students, Diigo is a powerful collaborative learning tool in the classroom. Students interacted with informational text and with one another and were motivated to stay on task. They read, highlighted, tagged, and annotated relevant websites for their research projects. The annotation process, however, was harder to learn for my 4th than my 5th graders. 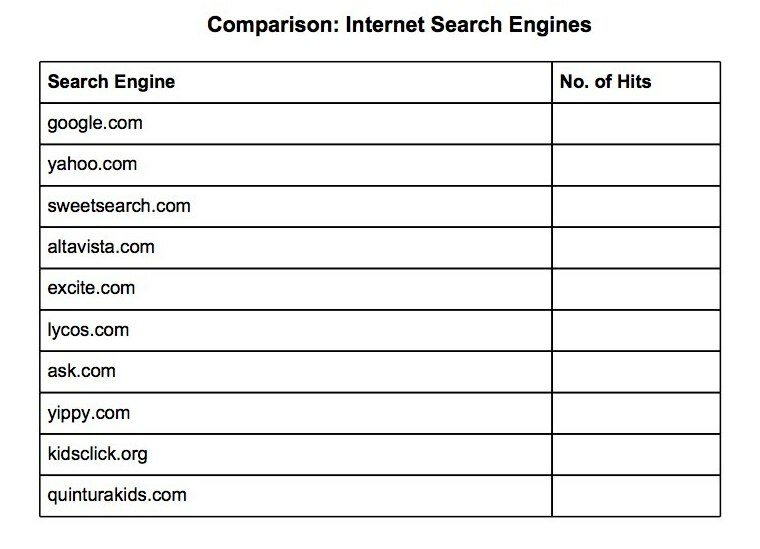 Fourth graders also spent a lot more time looking for relevant images than focusing on reading text. Reasons may be maturity, existing skills, class size (20 vs. 11 students), time of day (Friday afternoon classes for 4th grade), or a combination. Overall, this was a great collaborative project. Diigo allowed my students to not only manage information, but also to hone their communication and collaboration skills — all vital to success in school and their overall future. I would like to repeat this lesson, possibly on a grander scale: Not only with a classroom at another school, but perhaps “classmates” in another country. I always strive for quality work. Producing quality work, however, involves stepping out of my safety zone and challenging myself. But it also involves time. In the case of research, the process of producing quality work can be quite laborious. My 4th and 5th grade students are currently researching Fort Caroline (the first and rather short-lived French fort in the U.S. located here in Jacksonville, Florida) and the Lost Colony of Roanoke, respectively. To organize our research, we are using Diigo, a powerful social bookmarking tool. 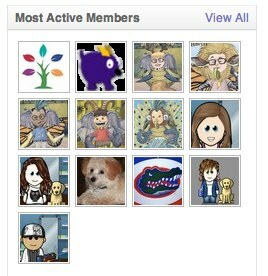 I’ve created a Diigo Group for each class via an educator’s account. Within each group, students are collaboratively collecting websites on the topics and annotating them using Diigo’s highlighting and sticky note tools. So while the process seems pretty straightforward, it is actually quite messy. 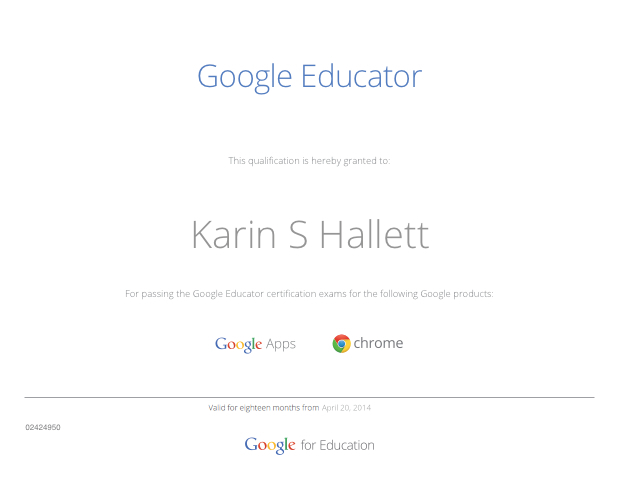 I’ve now spent two 50-minute sessions with each class searching, collecting, and annotating. Students are finding that they have to closely read each web page, evaluate it for its merit, and then offer a quality annotation. This last step is hard. 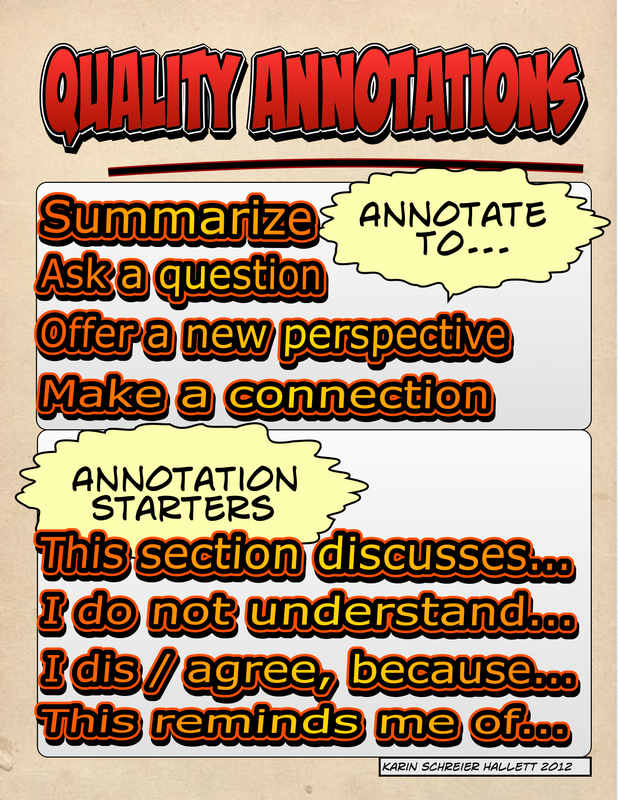 Before beginning the actual search process, we came up with a definition of Quality Annotations. I’ve compiled it as a quick reference sheet and then added annotation starters. With each class, we’ve looked at the web pages collected and the annotations added. Students clearly love Diigo’s highlighting feature and are good about not simply highlighting large sections of text. But they do need to work on their annotations! Too many of them simply say “informative” or “descriptive”. So the big question is: How do you ensure quality work? In this case, how do I get my students to read text or examine an image closely, evaluate the information provided, and then offer a quality annotation that contributes to the class collaborative research? Does the web page / image provide important information that answers my research question? Did I highlight the important information? Did I add a quality annotation? Are all my research questions answered, or do I need to search for more information?